Just before Christmas I gifted myself with a new phone. Previously I owned the Samsung Galaxy Note 3 that was a great phone with an amazing camera but I just needed a change – and also my boyfriend got me all jealous with his phone. 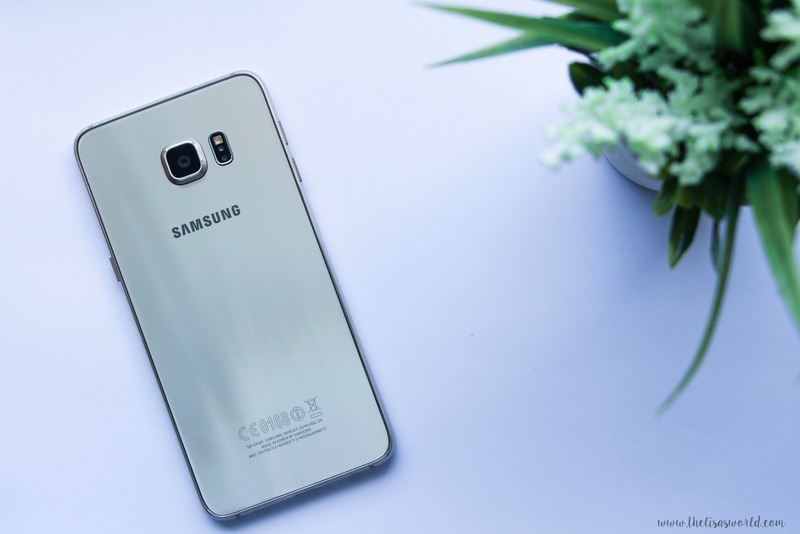 He had bought the Samsung Galaxy S6 Edge Plus in Silver and I was so, so in love that I got one for myself but in gold – a color that I adored on this phone. Being a woman that admires beautiful designed phones, this is one to fall in love with. A very sleek design where the metal edges feel great when you are holding the phone giving enough grip in the hand. The glass back is beautiful but it does stay with a lot of fingerprints and that is something I don’t appreciate. Yet, it is something than can be solved with a nice phone case. The curved screen is brilliant, something I really love about the design of this phone. It does not alter in any way the performance of the phone or the way I have to swipe my finger from the sides. I have read that some people had some trouble with it but until now I am really happy with its design and performance! The 5.1 inch screen is spectacular, amazing quality and just the right size to do anything! The battery life is much more long lasting comparing to the Note 3. With this one I go to work at 7am and have my WiFi on throughout the whole shift and when I go home, around 9pm, I still have around 30% of battery. It is important to enhance that I use my phone a LOT! I am always on Facebook chat talking to my mom or boyfriend. Always checking my twitter and my blog. I am very happy with the battery life and glad that I don’t need to carry my charger to work now. The fingerprint sensor is something that annoyed me in the beginning as I could never unlock it without having to put my security password. I guess this is result of Samsung’s oblong shape sensor (the home button). So you have to put your finger in a certain position to unlock it and while you don’t get the hang of it, it will probably annoy you loads. The phone is as quick as it can be, I have no reason to complain. Every app opens quite quickly and I have not had any troubles with it crashing or things like that. The camera is amazing, I absolutely love it! I have loved Samsung’s photo quality since the Note 3. The front or the back camera both have amazing quality and the images are very crisp (specially when taking photos with the back camera). A good camera is what I look for in a phone as I love taking photos in a daily basis, specially when I have some nice makeup on! Samsung S6 Edge Plus has a great camera, with fantastic quality and that will make your skin look perfect, photoshoped. 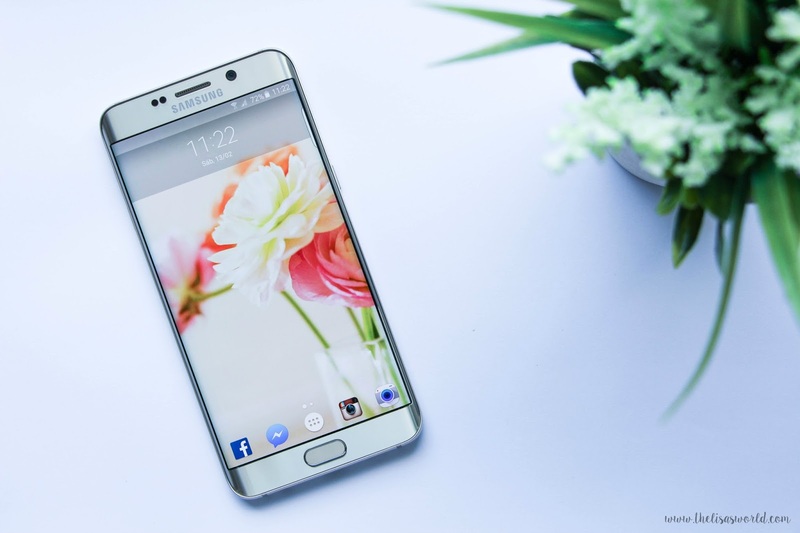 Samsung Galaxy S6 Edge Plus was an expensive purchase but it was worth every penny. I adore this phone – from its design to its performance – and I know it will be a phone to last a long time! Hopefully. Are you a fan of this phone or are you more of an Iphone person?